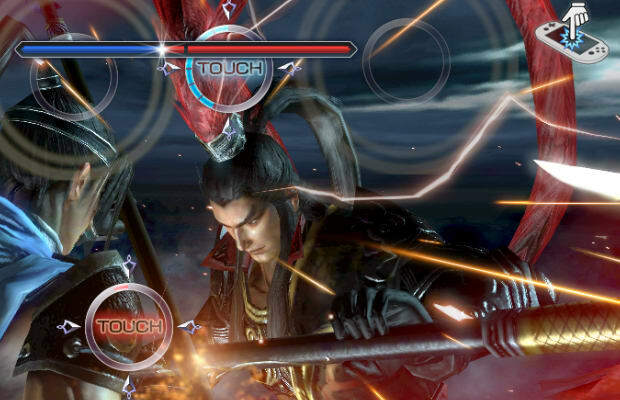 10 years on, who doesn't know what they're getting into when playing a Koei 'Warriors' game? It's of some mildly amusing comfort that this series has the hack and slash genre covered with every console and handheld launch. Koei hasn't been slacking with this touch-capable Vita version though. Musou attacks are now activated with the touch screen and you even have to shake the Vita to increase the intensity of the special attack. Ambushes more involving than ever; these are slow motion sequences where you touch the screen to repel soldiers and move along with the gyroscope in order to avoid attacks. It's still the same territorial tug of war in medieval China. You still control one of many selectable heroes through a campaign but now you can order troops to attack other bases ahead of you. It almost feels like an overdue feature, but better late than never.